Yup. 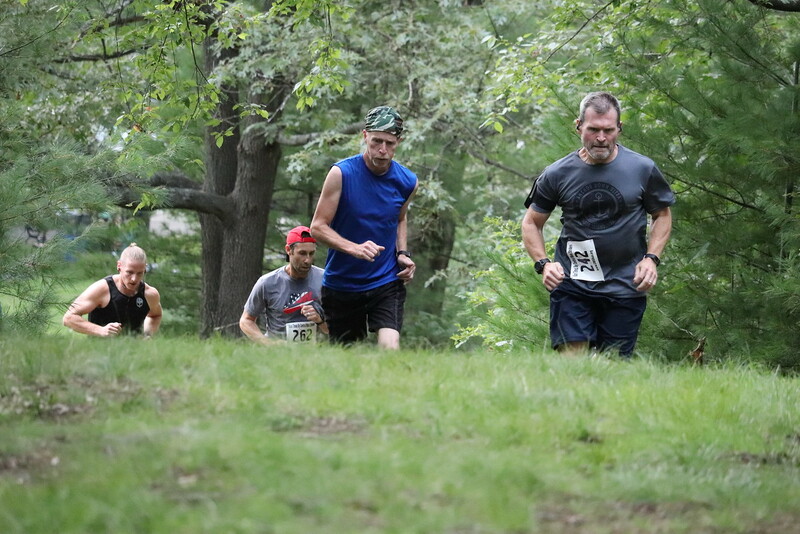 Another Tuesday in August, another Newton Hill trail race. This was nothing short of brutal: something close to 90-degrees and 70% humidity. Last week’s weather was beautiful and pleasant and I had a decent race. Decent, but not great. I always have an excuse; last weeks was that I did the Anchor Down Ultra on Saturday, so my legs were a lot like concrete and that’s why I didn’t kill the course. The week before was mid-70’s but humid AF, and Week 1 was similar weather to today, but cooler, believe it or not. Hey, it’s August in New England. Kind of like a box of chocolates the weather is. Pursuant to recent trends, tonight’s crowd was roughly 38 or 39 runners – last week was the exception, but then again it was really, really nice. The other races this month have been about the same crowd regardless. In keeping with my comparison from last week, it’s pretty plain to see how much the weather affected my race. I mean I’m not a very good (trail) runner in general, so anything less than perfect conditions is going to affect me. I’ve come to that conclusion, that I’m just not that good. Just all around my worst of the four races this year. Now the caveat: according to my watch I finished 28:17 this week; my official time week 1 was 28:15, so likely a 2-second difference, but the paces are wildly off (Note: the official time turns out to be exactly the same as week 1). That’s because my watch also registered a shorter course this week than week 1. It’s a trail so it’s always approximate, but I’m sure there was some variance and what not. So, the sum total is that Week 4 basically looks like Week 1. Same sort of pacing across the race, similar weather, similar result. If anything I suppose I COULD argue that today was crappier and I was only a couple of seconds worse, but that would be disingenuous. Kind of a bummer result, but pretty much what I might have bet on. I wanted better but after about .5 mile, I knew tonight wasn’t going to be my night. With a race like this, I think it’s instructive to look at the placement for some kind of idea how the race was. By using that metric, week 2 was my best, and I can certainly say it felt like my best race. So another race series closed out, another summer heading toward completion. Here it is, the third Tuesday in August, which means the third Newton Hill trail race. Same course, different day. I love these race series because they provide the opportunity to see how much you can improve over the course of a week, measured against the same terrain. 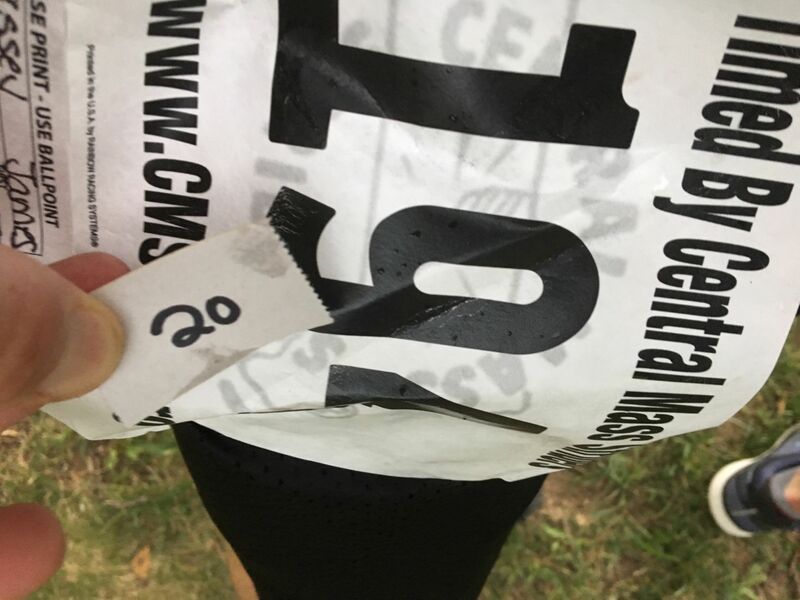 Sure weather changes everything – where last week was like running in soup, today’s race was held in beautiful 68-degree weather, maybe overcast, on a dry course. No mitigating factors from weather at all. Simply beautiful. August in New England can be funny like that – I can tell you from experience that while not unheard of, one should not expect August 21 in New England to be considered “Gorgeous.” And yet, it was this day. And it was precisely for this reason that there was the largest crowd of the summer show up for the race. There was an Indigo Girls style duo playing music on the common, so there was a bit of an assembly in the park. Just a great vibe where last week it was just an oppressive, wet nasty mess. 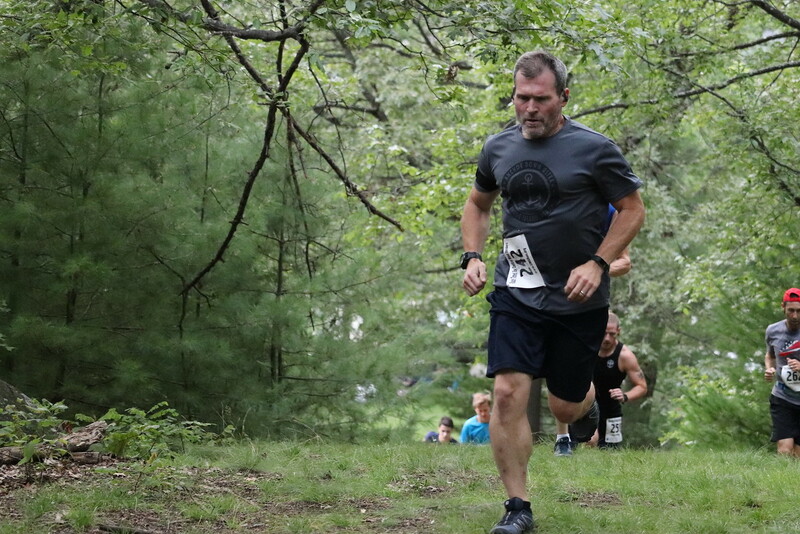 For sure, this was the best Newton Hill race I’ve done yet, but it just didn’t “feel” that way. There were a few spots – about a half mile in, after the out and back and where the course makes a turn up a hill – where I felt strong and it was a good track. There were others where I just felt beat down a bit. Now it would be easy to say, “Well, you just ran an Ultra a couple of days ago…” but that’s belied by the group run I did last night – one of my faster paces on the course over time and really would have been faster had I not been running with my buddy Dukie who’s just coming back from an injury. So that’s not it. So here’s where it gets interesting. Here’s my pacing over the race series this year. What’s interesting is that last weeks race was the superior one in terms of overall performance – despite the soupy weather. I felt stronger today and it was the last mile – the one with the most drastic hills (despite the overall elevation loss, most of the change happens here) that I thought I had lost the most ground week-over-week, but it turns out it was my best effort and it was the other miles that I lagged. That’s surprising to me, and yet, the numbers don’t lie. I’m going to go all out and say that when I was on, I was really on, but suffered the consequences I guess. So, tonight I feel like I pushed myself hard and while the pacing doesn’t reflect it, I know I pushed it. Despite having run 40 miles on Friday/Saturday. for a 1/10-mile at mile 2.1-2.2 had I just taken the opportunity to keep running instead of taking a break and walking, I’d have finished sub-26 minutes. That stings and something I’ll have to remember next week. August 21, 2018: 26:57. High-60’s, beautiful.